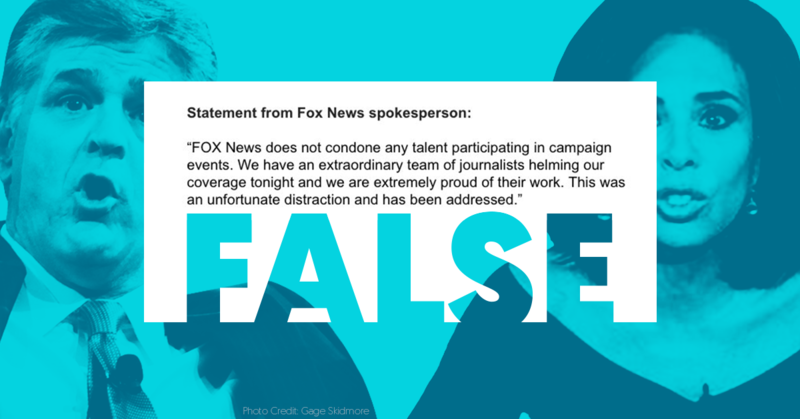 Home > Fox claims it “does not condone any talent participating in campaign events.” That's a brazen lie. 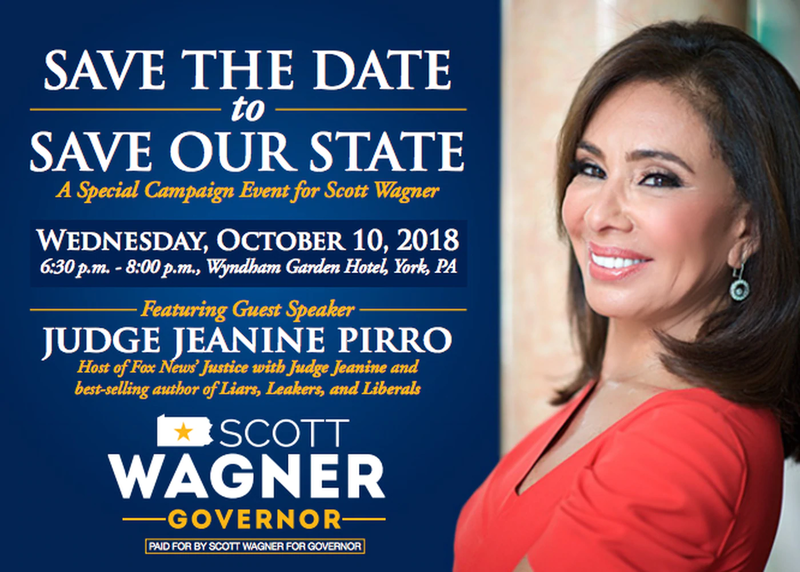 Hannity’s participation at the Trump event was not the first time the Fox host has done a campaign event this year. During the summer, he participated in campaign events  with Rep. Matt Gaetz (R-FL) and Florida gubernatorial candidate Ron DeSantis. As Media Matters documented  earlier this year, Fox News has repeatedly allowed its on-air “talent” to not only participate in Republicans events during Trump's term but also receive compensation for their work. The list of Fox News employees who have headlined Republican events includes both contributors such as Sebastian Gorka  and Karl Rove; and hosts such as Lou Dobbs, Greg Gutfeld, Pete Hegseth, and Jeanine Pirro. 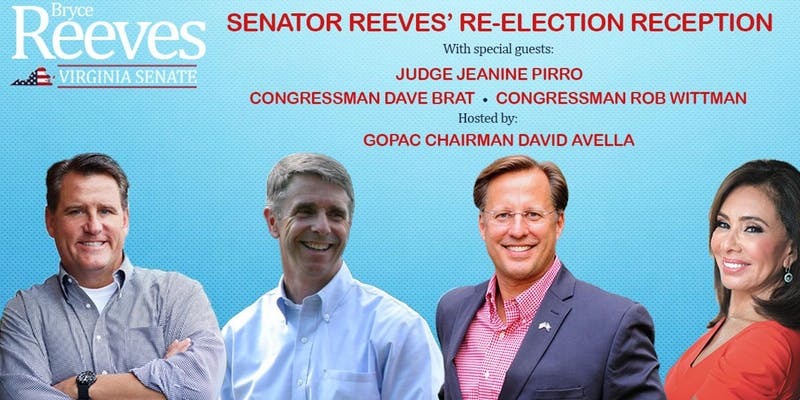 Fox News has been allowing its on-air personalities to do campaign events  for Republicans for years. In 2012, Media Matters documented  that at least 32 Fox News figures backed Republican causes in more than 300 instances during the 2011-2012 election cycle. Those efforts included Fox figures officially endorsing candidates; advising campaigns; playing key roles in fundraisers and events; recording advertisements and robocalls; and helping direct expenditures to support Republicans and oppose Democrats through Republican-aligned groups. In 2010, Media Matters similarly documented  that more than 30 Fox News personalities endorsed, raised money, or campaigned for Republican candidates or organizations in more than 600 instances.